Being the huge fan of video games that I am, it is no surprise that I’m a fan of the Genesis. The console has a very special place in my heart, and titles such as Phantasy Star IV, Sonic The Hedgehog (parts I and II), and Landstalker will remain favorites forever. 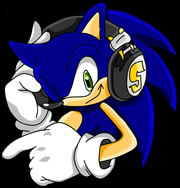 That said, I was tossing around the idea of making a special DJ set comprised only of video game music and share my passion towards game music with my friends and everyone who just wants to have a terrific time at a night club. The place that made this possible was a Rio de Janeiro underground nightclub called Casa da Matriz that’s recognized as having one of the best (if not the best) indie rock parties in Brazil, called A Maldita. Besides rock, the club also holds other (great) music parties, such as Digital Dubs, a night dedicated to eletronic music, and Sundae Tracks, for those who like emo and pop rock songs. One of the special things about A Maldita is that the party always invites people to DJ on the second stage of the house. That makes the night always unpredictable, even if Z and Gordinho, the DJs that envisioned the party ten years ago, are usually playing your soft-and-loud acoustic and electric indie rock on the first floor. You usually don’t know what to expect of the DJs that put music on the second floor, and Z and Gordinho usually bet on new talent, just like their music on the first stage. As it turns out, I was invited to DJ last month. That made me realize that would be possible to do an entire set based just on video game music. Since retro gaming is all the rage (including in Brazil, where most of my friends, like myself, grew up playing 8 and 16-bit games), I decided the timing was perfect. With lots of bands, such as the Advantage, doing covers of video game music, the interaction with the rest of the rock set was just right. Suffice it to say that I was never ready to the reply Genesis music would get on the dance floor. I decided to start with a Mario Brothers 2 song, “Underworld.” Some people started laughing thinking it was just one of those pranks DJs do when they’re actually trying to make fun of dancers and listeners. When I continued with the video game songs, some people started looking at with that “what the hell?” look on their faces; however, people remained on the dance floor and started to go along with the rhythm of the beat. Genesis and DJs: A Safe Bet? All I can say is that the crowd was (mostly) pleased, and what power the Genesis had in our cultural formation! I was astonished. I’ve never heard of a party where they played video game music before, and I think the idea was very fruitful. And I would be a regular on a party like this.